Uriah was more dedicated to his men than his wife. 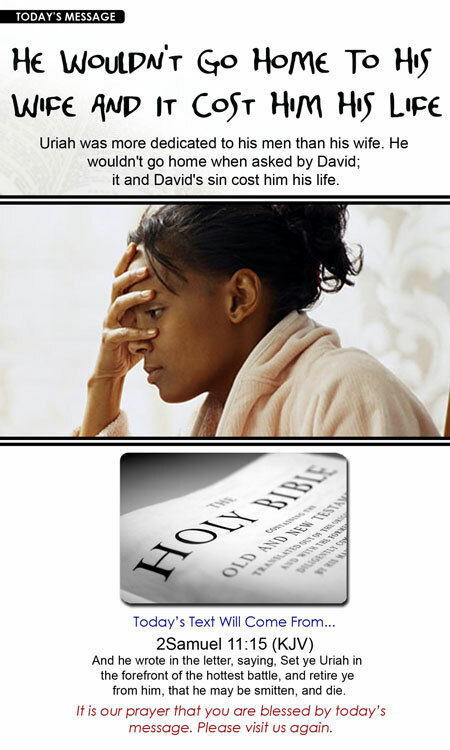 He wouldn't go home when asked by David; it and David's sin cost him his life. INCLUDES: Word and Text files, Power Point slides, and Bulletin Insert Art.